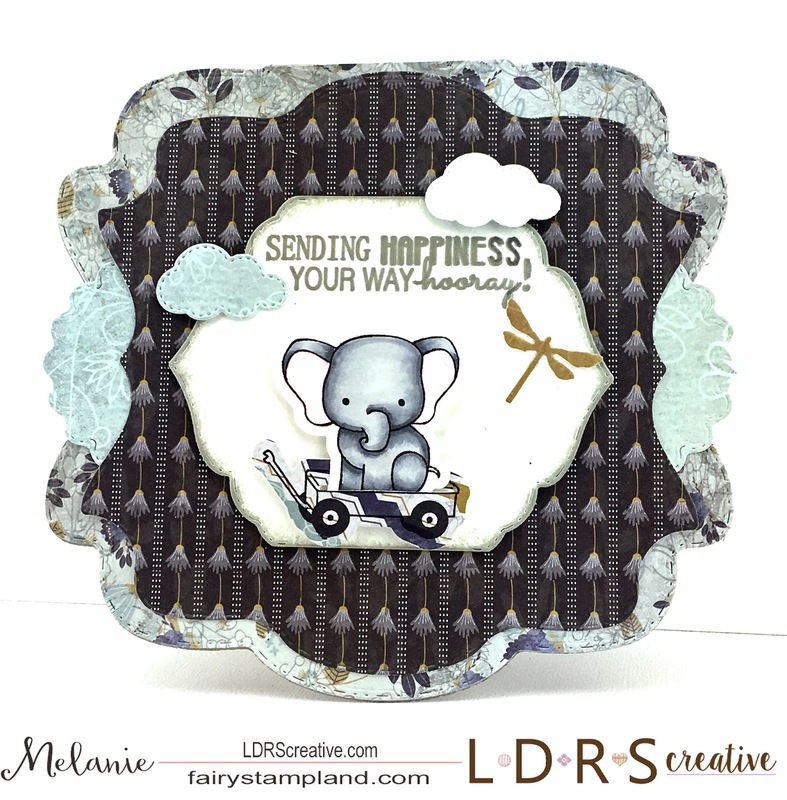 LDRS Creative Splendid Azure Featuring Little Critter Stamp & Die Sets! Today I am excited to bring you one of my cards that was featured on the Home Shopping Network earlier this month. I am using numerous LDRScreative products and I absolutely love this TLC Splendid Azure 6x6" paper which is perfect for masculine cards. Just think Father's Day is right around the corner. 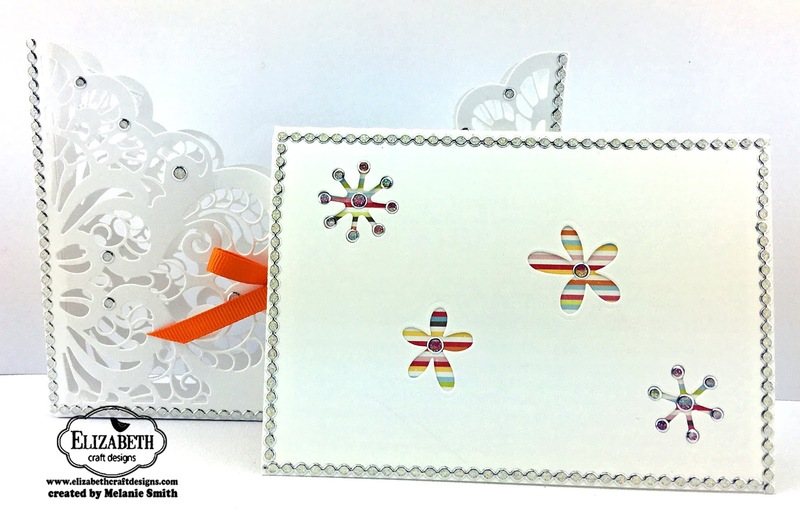 The fun shape of my card was created using the Allifair Build a Card Die Set. This die set allowed me to create the shape and coordinating layers along with the clouds and even the little dragonfly. I see myself using this die sets many times in the future. I have also used the FanTABulous Die Set which allowed me to shape the white piece that the adorable character is on. Even though this is a "Tab/Tag" die set, you can see that it can be used in many ways. I used the Outdoor Play Critter Stamp & Die set along with the Go Wild Critter Stamp & Die set to create the rest of the scene. These critters are contagious, you will want to play with them again and again!! Elizabeth Craft Designs Bird-day Card featuring Oxide Inks. I hope this post finds you well. If you have been following my most recent posts you will see I have been having so much fun with Oxide inks by Tim Holtz. 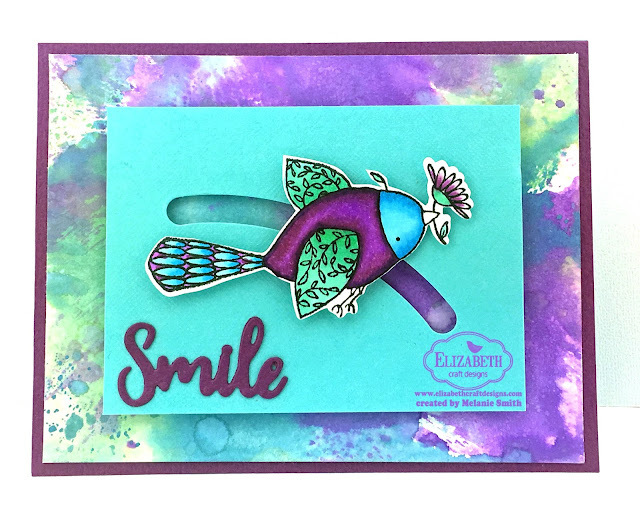 Today's little Birdy card features a Oxide inked background along with Elizabeth Craft Designs' Bird-day Party Clear Stamps and coordinating Bird-day Party dies. I also used two additional dies by Elizabeth Craft Designs. The Dotted Scallop Squares and the "Thanks" die. 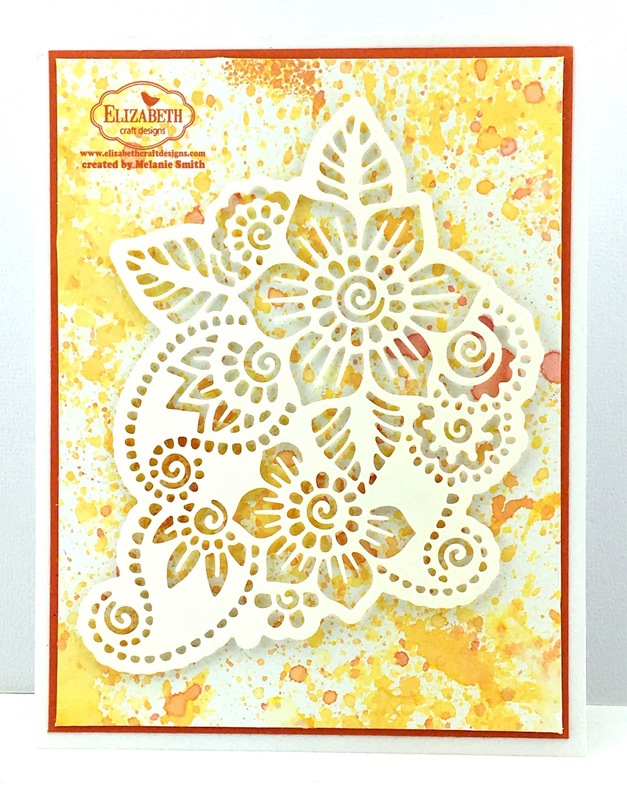 Elizabeth Craft Designs "You're So Sweet"
I am back today with more experimenting with Tim Holtz Distress Oxide Inks. These are so much fun. I decided to try and blended background with this card. Mixing this technique with Elizabeth Craft Designs' Circles Background die resulted in such a beautiful look. The two go together perfectly. Look how yummy the ink colors blend together. You get a seamless transition from one color to another. I have used Tim Holtz Distress Oxide Inks in Spiced Marmalade, Fossilized Amber, and Worn Lipstick.Don't these make you think of sherbet colors? That is why I used the "You're so sweet" sentiment from the "General Sentiments" clear stamp set. Thank you for stopping by today. For more product details simply visit Elizabeth Craft Designs' online Store. Hi Friends, today I would like to share a beautiful new die by ModaScrap. This die is just stunning and so dainty. I wanted to set this die popped up on a vibrant background so you could easily see the intricate details. Isn't this die AMAZING???? I get mesmerized just looking at it. To create the background I used Tim Holtz Oxide Inks in Spiced Marmalade and Fossilized Fern. I simply added ink from the ink pad directly onto a non stick surface. Next spray with water to activate the oxide properties, and pick up some ink/water with a paint brush and splatter onto the card front. Dry with a heat gun between colors. 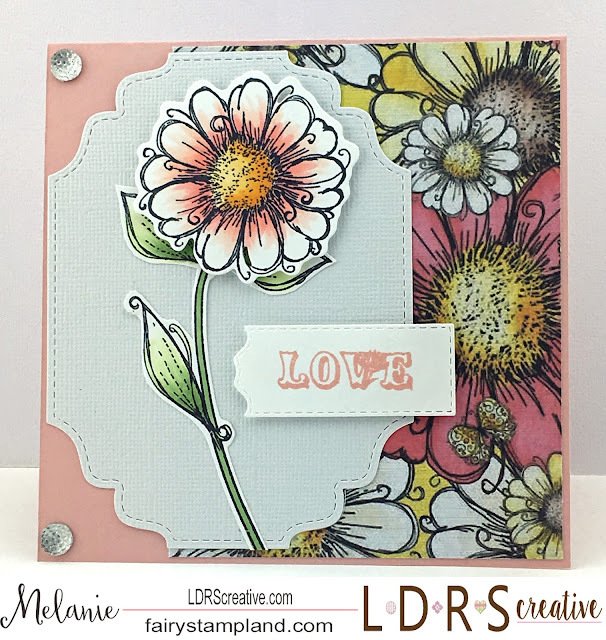 To "show off" the Moda Scrap Floral 1 die , I popped it up with Dimensionals. Doesn't this beautiful die create such a beautiful Focal Point? Thank you for stopping by today. 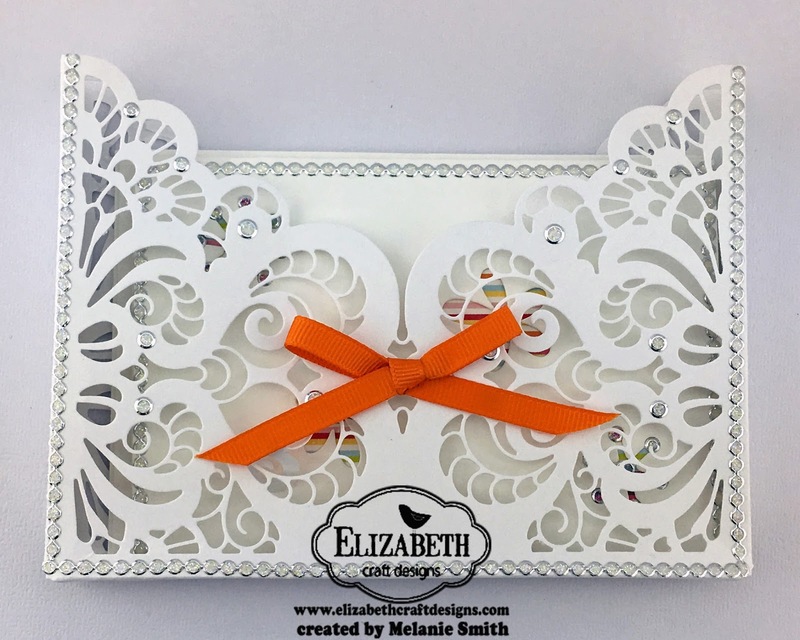 Make sure to check out all the wonderful products over at the Elizabeth Craft Designs' web site. Elizabeth Craft Designs' Color Challenge ~ Slider Cards! It is time for a FUN Elizabeth Craft Designs' Color Challenge over on our Challenge blog. Enter for a chance to win a really nice prize from ECD. I have a super fun project to share with you today. This is the first slider/spinner style card I've made and let me tell you it is really fun. To see how t make a Slider/Spinner card check out the Friday Technique Video with Els video HERE. For the background of this card I used Tim Holtz Oxide Inks in Cracked Pistashio, Broken China, and Wilted Violet. Don't they make a yummy combination? 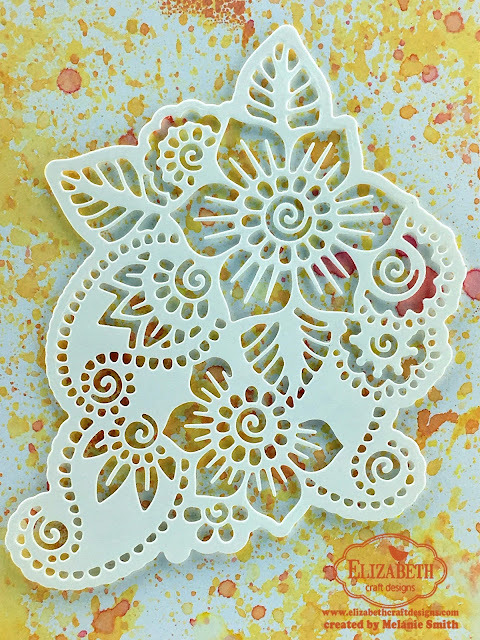 See the Friday Technique with Els video on using Oxide Inks. I do have to warn you though.... playing with these oxide inks is ADDICTIVE! 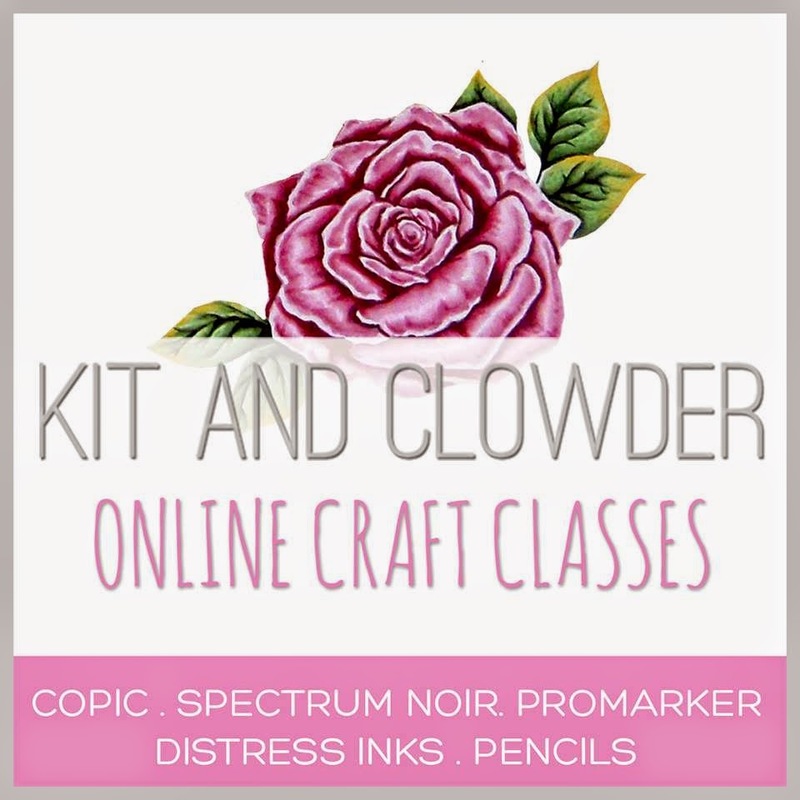 I have a new Little Darlings Rubber Stamp project for you today. This is featuring the Polkadoodles Stamp & Cut Daisy Daisy Set. 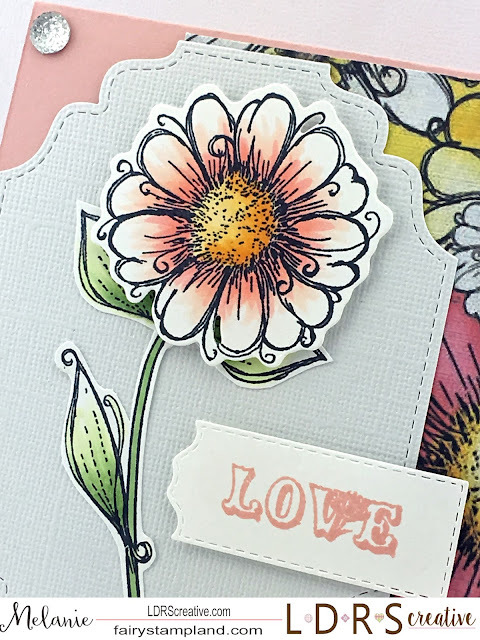 This stamp and die set also has coordinating paper. This makes projects so fun and easy, perfect for any level crafter! Here is a closer look at my coloring. Welcome back! 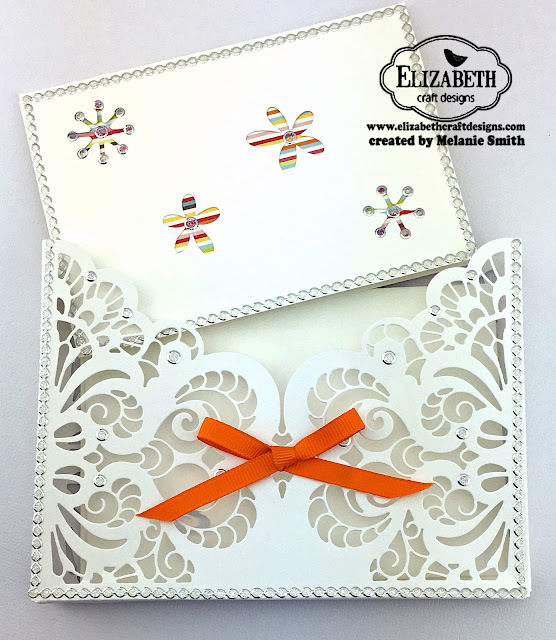 Today I am sharing a card I made for Elizabeth Craft Designs. This is the very first time using water color markers so be gentle with me :-) My hubby adores bumble bees since he is a Georgia Tech Yellow Jacket fan so when he saw this a big smile came over his face. I hope it brings you a bit of happiness as well. Everyone needs a little motivation at times and I think this "Reach for the Stars" card will being that for the recipient. Above is a close up of the coloring. This will be a learning curve for me as I have never used water colors before. I think it turned out decent for my very first try. From a floral piece of paper cut a card front measuring 4.25" x 5.5" and adhere to the card front. 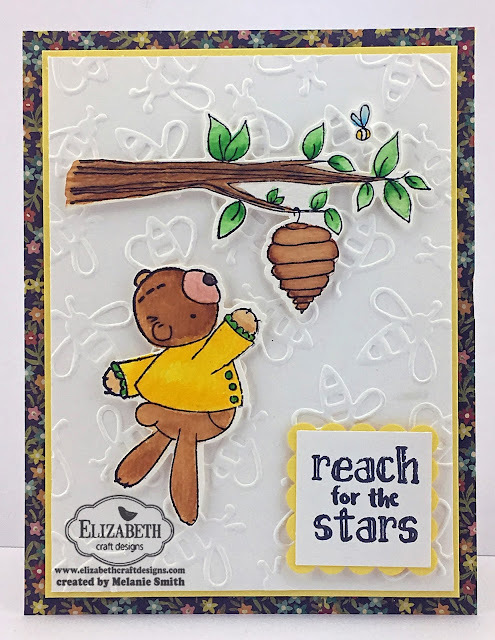 Cut and yellow layer of card stock at 3 7/8" x 5 1/8" and attach to card base using foam tape.,Next cut and emboss a white layer (5" x 3 3/4") with the "Bees" embossing folder. Attach to yellow layer. 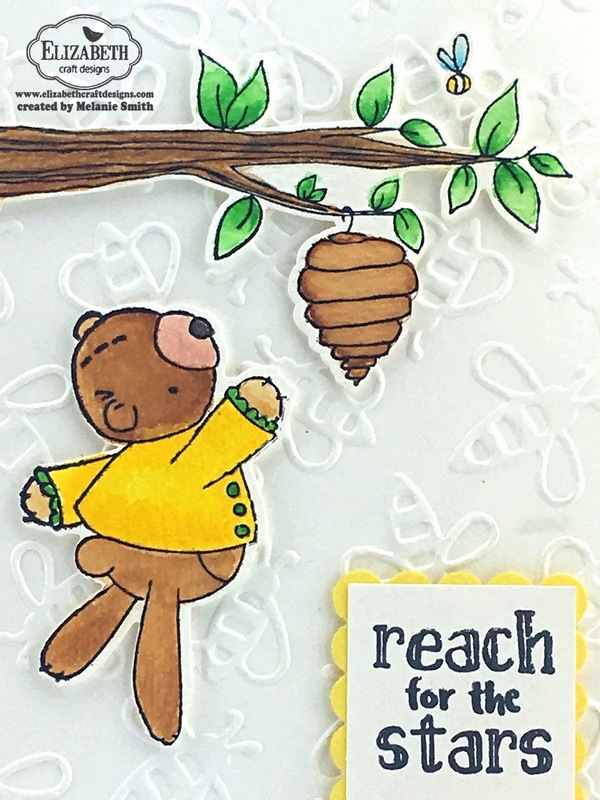 Stamp the "Honey Bear", bear and tree branch stamps onto water color paper and color using watercolor markers, or medium of your choice. Stamp "Reach for the Stars" Sentiment from the "Dream Sentiment Clear Stamp Set" and create a square shaped sentiment using a yellow scalloped square for added interest. Adhere both of the colored images as well as the sentiment to the card front using foam tape. Sit back and enjoy your card... it is sure to make anyone smile! Today I am sharing a super fun challenge over on the Elizabeth Craft Designs' Challenge Blog. The team is calling it "Being Negative" The challenge this week is using your dies focusing on the negative space that the dies leave behind. Check out the PRIZE you could win just by participating!!! For today's card I am using the negative space of the Entwined Oval Dies set by Els van de Burgt Studios. So as you can see I have used the stars and flowers from the Entwined Ovals Set and die cut out random areas from the front panel of 3"x4" note card. I then placed a striped paper to the back of the card front to show the paper coming through the negative space left behind from the dies. At this point in the card designing I loved the feel of the clean and simple look but just wanted to add a little bit of interest so I added Elizabeth Craft Designs' Glitter Dots and Lines to jazz it up a little. As I saw the card come together I decided to take it even a little further and I made a gift pocket that fits 3 note cards and envelopes. I used Moda Scrap's Lace Pocket Die. I simply cut two pockets then folding on the score lines. 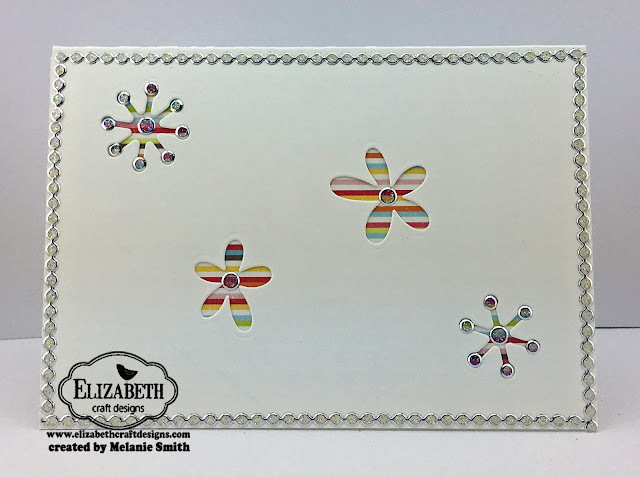 I used Elizabeth Craft Designs' 6mm Clear Double Sided Adhesive for a strong bond. This is a quick and easy way to complete this set worthy of gift giving! See below for more detail on the ECD items I have used.